Facts About the Samsung Galaxy S10 ... Earphone Jack? 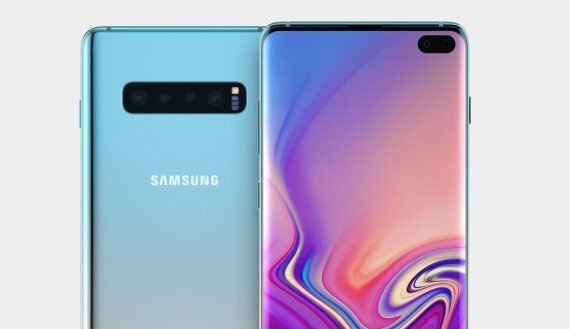 The Samsung Galaxy S10, which is being released by Samsung Electronics early next year, According to industry sources, the Galaxy S10, which marks the 10th anniversary of the 'Galaxy' brand next year, has released some new models, screen features, earphone jacks, and camera counts. The most noticeable feature is the number of models. The Galaxy S10 will likely come in three varieties: 6.1 inches (normal), 6.4 inches (plus) and 5.8 inches (light). Normal and plus models are high-grade models with different screen sizes. It is easy to understand that it is a lineup similar to iPhone XS, XS Max, and iPhone XR respectively. There have already been three certifications to major countries such as China's Ministry of Industry and Information Technology (CMIIT). The screen and fingerprint sensor are differentiated from the previous one. Speakers and voice sensors were pushed into the screen, and the front camera is placed into a small hole on the screen. Samsung Electronics presented the 'Infiniti-O Display' at Samsung Developers Conference (SDC) last month. It is characterized by reducing the space occupied by devices such as cameras and speakers on the screen. The fingerprint sensor was also hidden inside the screen. When a user puts his finger on the screen, he or she can recognize the fingerprint pattern by applying ultrasonic waves. In the light version of the popular version, a fingerprint sensor will be placed on the side. It is a strategy to lower the unit price. The application processor (AP) is likely to be equipped with Qualcomm's Snapdragon 855. Snapdragon is the next generation AP after 845. It is said that the domestic release version will include the EXYNOS 9820, which is a self-developed AP. There are two or more cameras on the front and back, respectively. There is a concept image with two cameras on the back, but recently there is speculation that there are up to four cameras on the back. One of the main concerns of users is the 3.5mm earphone jack. The recently leaked Galaxy S10 case sample has been found to leave holes for 3.5mm terminals. Case makers do not go into production until they receive final information about the appearance of the jack. For this reason, the prospect that 3.5mm terminals will not be lost is predominant. Apple, on the other hand, has blocked the wired earphone hole since the iPhone 7 in 2017. The elimination of the jack will give the manufacturer two benefits. First, it is possible to reduce the device thickness by reducing the space. There is also the possibility to increase the sales by selling the self-developed wireless earphone. Apple's wireless earphone 'Airpod' is a high priced product with prices over 160 USD.